The Jeep Compass is no longer available new in the UK, but there are still plenty of used versions available. If you are looking for car finance for a preloved Jeep Compass, then the good news is that at MLD we can help. Use our car financing calculator to see how affordable a car loan can be or contact us for a quote now! 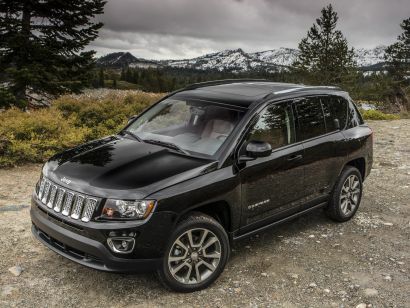 The new Jeep Compass for 2016, which is available in the US, is, according to their brochure: Truly efficient and powerfully capable, the Jeep Compass combines the performance of an SUV with the practical size of a compact car. With up to 26 hwy mpg, your adventures can go even further. Extras on the new version include a leather-wrapped steering wheel, a powered sunroof and fli-down liftgate speakers. Safety and security is important, with the 2016 version having engineered crush zones (to protect you and passengers in cases of side impact), door guard beams, an ultra-high-strength steel crossbeam and six airbags including supplemental front seat-mounted side airbags.